We have developed a strong structure we believe guides & supports our Cosmetology team to ensure professional enrichment and longevity. We constantly strive to bring out the best in our team members and give them the tools they need to not only grow professionally but thrive in their chosen careers. Dosha Salon Spa is proud to be a leader in the beauty industry. We are a local company that is not too big, and not too small. We have the power of 6 locations to support one another and at the same time allowing each location to show its own flavor/style. We have developed a strong structure we believe guides & supports our technicians to ensure professional enrichment and longevity. We are proud to be standing solid after 25 years in business! We developed the Dosha Creative Team in 2014 to cater to our creative side and meet one of our core values, inspiration. After you have been with the company for a minimum of six months, you can attend a Dosha Creative Team meeting and find out how to get involved with photo shoots, runway, competition, etc. In addition to consistent photo shoot opportunities, we have stylist and makeup artist jam sessions. These jam sessions allow team members to come together and learn tips and tricks for photo shoot styling. Dosha serves over 200 brides each year. All stylists have an opportunity to create beautiful looks for brides to be and their bridal parties in house. If you find styling is your strong suit and have three plus years industry experience and have been with our team a minimum of one year, you may try out for our Bridal Elite Team. As part of the Bridal Elite Team, you will be able to receive a higher priced styling charge and be able to travel off-site. Dosha hosts a myriad of advanced education on a consistent basis. These educators have been featured in New York Fashion Week, Aveda Congress, TV and film among being involved with Aveda Corporate and industry magazines. These outside leaders are amazing at what they do and teach on technical and personal growth within the industry. At Dosha we support our teams with numerous marketing opportunities utilizing radio, print, events, and social media. A continued effort goes into keeping the Dosha brand awareness top of mind. We embrace our team to "co-brand" themselves with Dosha. We believe your individual growth will strengthen you personally, your team, and overall Dosha. We know working as a team will further long term careers and opportunities for us all. A profile of yourself, including a photo and bio on www.dosha.org. Master Stylists are the leaders and pacesetters in our environment, both technically and culturally. They cater to a top tier of clientele that are willing to spend top dollar for their experience and artistic aptitude. The Master Stylists develop trends, are an example of salon standards, and act as a spokesperson for the Brand. Master Stylist's see value and seek training and education beyond state requirements. They are pillars of culture in their environment. Above all else, they are highly skilled at their craft. Many Masters started working under another Master Stylist themselves, which make them deal for cultivating new talent. Because Master Stylists distinquish themselves as innovators, other stylists want to train under them. Many teach cutting or coloring techniques, culture and business skills. Master Stylists may decide to take on an apprentice where they can share their knowledge and help career path an emerging stylist. Do You Have any Planned Vacations in the Next Year? If so, When? 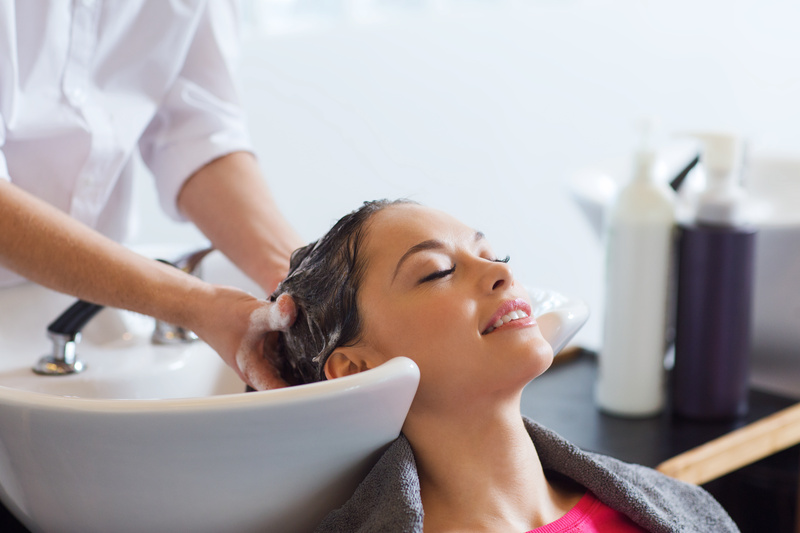 Have You Ever Worked for Dosha Salon Spa Before? Are You Currently Licensed as a Technician in Oregon? OR copy and paste your resume below.